You might as well say you will have nothing to do with AIR as to say you will have nothing to do with POLITICS. Our slogan was equal opportunities for women from the kindergarten through the university. 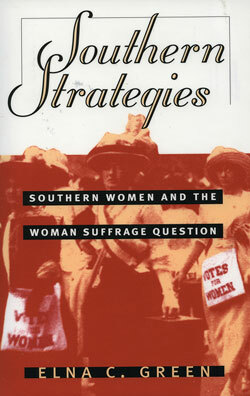 The woman suffrage movement, which succeeded in 1920 with the adoption of the Nineteenth Amendment, coincided with major national reform movements seeking to improve public education, create public health programs, regulate business and industrial practices, and establish standards and create agencies to ensure pure food and public water supplies. Public debate on these issues and simultaneous demands for better roads and public services transformed politics in Virginia yet again and brought into the political process people who had not been active participants earlier. Women in the United States began agitating for the right to vote in the 1840s, even before all men in Virginia gained the right to vote. In 1870 Anna Whitehead Bodeker, of Richmond, formed the Virginia State Woman Suffrage Association, and twenty years later Orra Gray Langhorne, of Lynchburg, also attempted to rally proponents. In 1909 a group of Richmond women formed the Equal Suffrage League of Virginia to educate Virginians and win their support. The League argued that Virginia women were citizens and taxpayers, that they had special interests that were being poorly addressed by male legislators, and that the spheres of home and world overlapped. Although Virginia women gained the right to vote in 1920 with the ratification of the Nineteenth Amendment to the U.S. Constitution, the Virginia General Assembly did not ratify the amendment until 1952.